Kanye West has shown no signs of slowing down with Yeezy colourway concepts this year. The spotlight has been shining on the 700 so far, as the collaboration begins to shift focus away from the 350s in favour of a chunkier aesthetic. In succession to the release of the Yeezy Boost 700 V2 “Static” back in December, Ye has just teased an exciting follow up to the reinvented Wave Runner. Arriving in a tonal “Cement” colour palette, beige, mauve and grey hues create an earthy look throughout. A combination of suede and mesh dresses the upper, as sweeping 3M mid-foot stripes showcase the signature twist offered by the label’s deconstructed Version 2 design. The sneaker’s notoriously bold midsole is painted entirely in dark grey to complete the look, while a gum outsole appears to add a touch of contrast. This rendition is expected to release in Spring, so make sure to keep it locked to The Sole Womens for more updates. 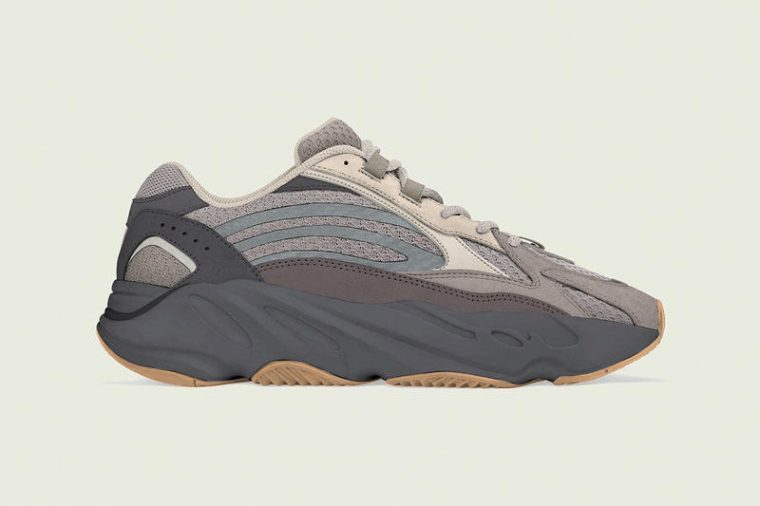 In related news, the Yeezy 700 “Salt” has just received an official release date.